“Imagine turning your head and holding your arm out, as if for a blood test. You feel a slight prick, you loosen the tie, and then suddenly, this warmth floods up; you feel a rush that begins at the base of your spine and surges up until it explodes in your head, like light. Then, for hours, you float in a bubble of warmth and well-being, dreams as vivid as movies drift before your eyes. This is why people like heroin. “Imagine you no longer feel like an ordinary girl, bland and vulnerable, but like a girl who is daring, an outsider, one of the guys. This is why I tried it in the first place. These are the opening paragraphs of Alvarado’s book. At 16, with her boyfriend Fernando, the author began using heroin; at 19, she married Fernando; and by 20, she was pregnant. That pregnancy became her why not, her reason to get clean. They had a son, Michael. They would stay clean, and a few years later, have a daughter, Kathryn. 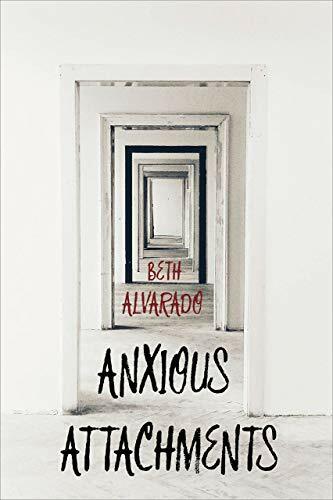 Just as pregnancy saved Alvarado from addiction, familial connection, expressed throughout these essays, keeps her both honest and sane. There’s nothing Alvarado isn’t willing to talk about, examine, admit, confess. But these essays are about way more than the addiction with which they open. Water contamination, poverty, civil rights, gun violence, mental illness, Trump, the 2017 wildfire season, the 2017 total solar eclipse, the difference between a baby’s REM sleep and an adult’s—all this gets woven in with the personal. In “Clarity,” the author struggles while caring for her dying mother, but when Alvarado’s adult daughter, Kathryn, comes to help care for her grandmother, the right words come to her easily, and she’s able to do the things her mother can’t. Such scenes are abundant in this book, filled with beautiful human attempts to connect, to protect, to do right by our loved ones. In showing what the daughter is able to do for her grandmother, that the author cannot do, Alvarado pinpoints the grace, the benevolence afforded by that space, that skipped generation. For Kathryn, it’s easy to say, “I cherish you.” But because Kathryn is of Beth, and Beth is of her mother, they’re inextricably linked, and what Kathryn is able to say may as well be the words of her mother, because in the end, whose hand is this anyway? Alvarado includes the references to current events, politics, social issues, and science, not because she’s trying to make these personal essays about more than herself, but because they are about more than herself. Going from the intensely personal to the political, the social, the scientific, is what makes these essays universal. Alvarado suggests here that the mentally ill person in our midst, in our own grocery store or community, doesn’t have to be an actual relative for us to realize he too belongs to us, that we’re all connected, that everyone is someone’s brother, sister, loved one. And mental illness is an issue belonging to us all. Readers come away from these essays more educated, informed, and justifiably outraged that drinking water in Tucson was poisoned by trichloroethylene (TCE). But they also come away having fallen in love with Fernando, who died six years ago, and to whom the book is dedicated. And having fallen in love with Alvarado, too, and with their solid but unlikely union of 40 years that sounds about as glorious and real as love gets. These tender portraits of Fernando as both a husband and a father endear him to the reader. Alvarado bemoans in the book that she doesn’t remember enough about him, fears that in avoiding the excruciating pain of grief, she will “erase him,” but instead, with every picture she paints, she immortalizes him. This whole book is a love song to Fernando.